A couple of weeks back we had a great weekend away in Liverpool. These little weekend breaks have been fabulous for the 3 of us, we've been able to have little escapes here and there and spend time just relaxing. 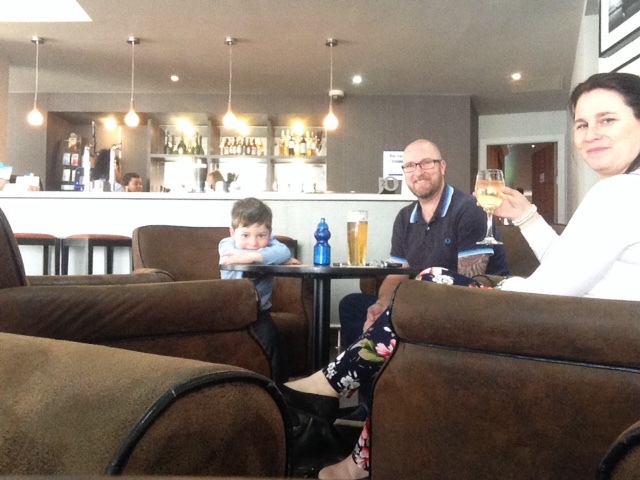 I think it's great for T to experience hotels at his age, and learn how to behave in that social environment, sadly in our experience too many people don't teach their children how to behave properly. On this trip alone 4 children from different families managed to disrupt other guests purely because they had not been taught how to behave, and parents found it acceptable for them to play in the revolving doors, continuously scream through breakfast, run around the lobby whilst people were trying to eat and carry hot food or run up and down the corridors squealing in the early hours! Anyway, I'll get off my soapbox now, but we are really finding that these little trips teach T so much and they are a great reward for him behaving well. We stayed in The Holiday Express Hoylake on our latest trip which is a lovely new hotel with 56 rooms located minutes from the beach, upon entry we were welcomed by incredibly warm and friendly staff who quickly and efficiently had us checked in. 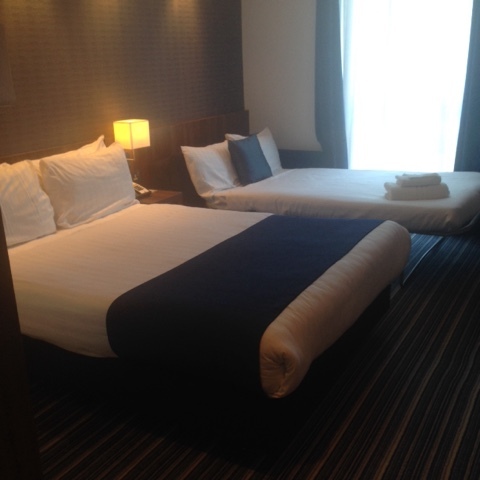 Our family room was located on the first floor, the room was a decent size with a double bed and a double sofa bed. Freeview TV was provided as is free wifi. 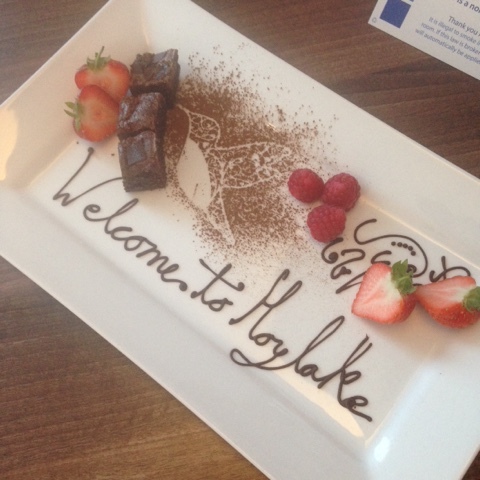 We were greeted to a lovely brownie and fruit platter in our room, which of course went down very well with a certain young man! I'd like to think all guests get one of these, but I suspect not. The Hubs and I did our usual search round for cleanliness and found the room to be spotless. 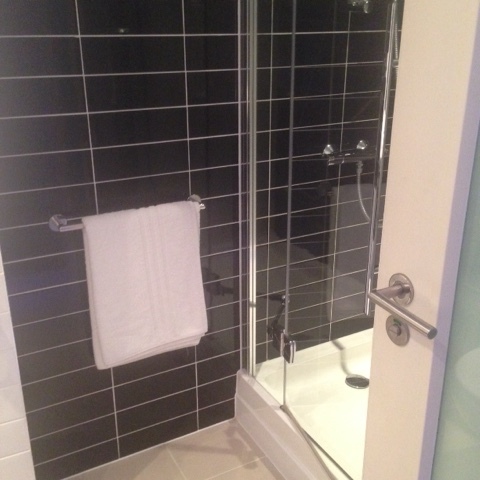 The shower room was a decent size and incredibly clean, the shower cubicle was large and T managed to have a whale of a time in there whilst preparing to go out for dinner. Our hospitality tray had everything you'd expect, but wasn't re-filled the second day which we did find a little odd, however, as The Hubs doesn't drink tea or coffee there was plenty for me and I'm sure they would have restocked had we asked. After we'd scouted round and settled in we headed down to the lobby for a drink, I must admit I really liked this, all the hotels we've stayed in so far haven't had this so it was great for us to sit in the bar and relax, The Hubs watched a few quiz shows on the lobby TV, T watched his iPad and I expect I was on social media! Drinks were averagely priced at about £6 for a glass of wine and £4 for a beer, the staff even brought out some colouring pencils and colouring sheet for T which was a lovely touch. It was incredibly nice to be able to sit and relax whilst T coloured and watched 'Andy's dinosaur adventure'! 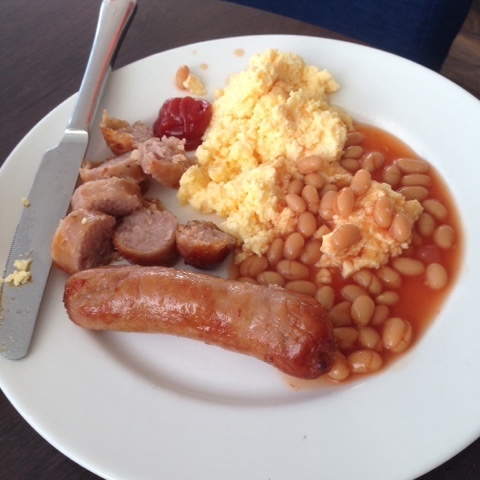 Breakfast was adequate, hot options were limited only serving toast, beans, sausages and scrambled eggs but there were lots of cereals, yoghurts, fruit and pastries so no-one was going hungry, everything was self-serve so you could eat what you liked. There were 3 juices available and a good selection of twinings teas. 1. How was the hospitality at the hotel? 2. How clean was the hotel? 9 - very clean, but scuff marks on the walls which I could wipe off with a baby wipe. 3. How were they facilities? 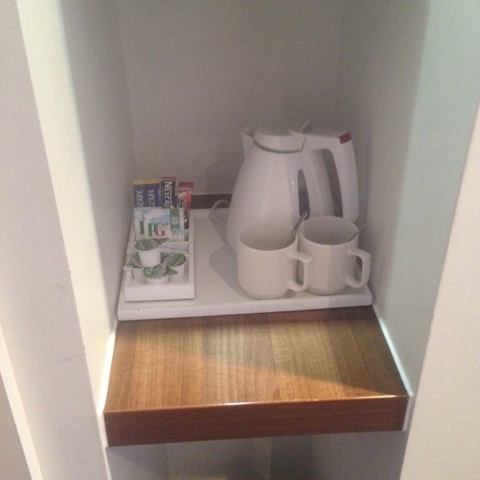 8 - free parking, good tv, free wifi, bar on site, snack machines, ice machine everything you need but no extras. 4. How did you sleep? 8 - no noisy traffic, comfy bed the only noise was from other guests. 7 - adequate, not a great deal of choice of warm options. 6. Would you stay here again? 7. Would you pay the full rate for your stay? Yes we would, although slightly more in comparison to other budget hotels. 8. What is your overall 'value for money' star rating out of 5? ⭐️⭐️⭐️ a full English would have made 4! 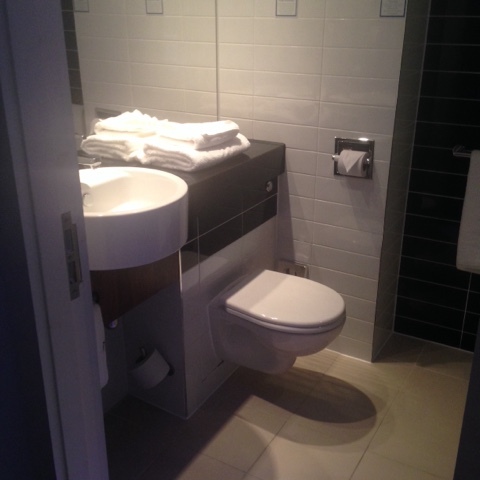 Disclaimer: we were given a complimentary stay in return for this honest review, we would have no qualms in recommending this hotel to friends and family travelling for business or leisure.